Palestinian terrorists and their families are receiving far higher payments than welfare recipients, according to an analysis of the Palestinian Authority's (PA) budget by The Middle East Media Research Institute. Payments to current and former Palestinian prisoners fall under the "fighting sector" category and terrorists' families receive a "monthly salary," while poor families receive quarterly "monetary aid." The practice triggered a civil lawsuit by American victims of Palestinian terrorism. A jury awarded the victims $210 million in damages, which under law would be tripled. Evidence indicated that payments from the second Palestinian intifada were approved by then-PA President Yasir Arafat. But an appeals court found the U.S. District Court in New York lacked the jurisdiction to hear the case, wiping out the judgment. 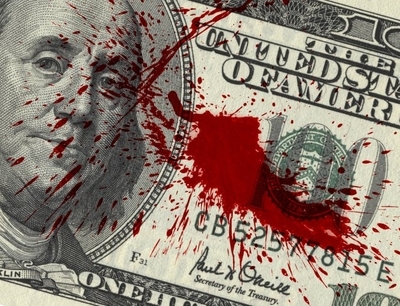 Today, a terrorist's socioeconomic status is not factored into the salaries. Payments to released prisoners and jailed Palestinians are based on the length of a prison sentence, which is a function of their action's severity. The more brutal the attack or murder, the more money a Palestinian prisoner gets. Even jailed Israeli Arabs receive terror salaries – almost $140 more than prisoners with PA residency. The detailed PA budget is concrete proof that the Palestinian government systematically incentivizes terrorism through financial compensation. In May, President Trump tried to pressure Abbas, his PA counterpart, to end the terrorist payments. A top PA aide called the idea "insane." In June, Palestinian sources revealed that Abbas refused another U.S. demand to halt the practice of paying terrorist salaries. Reports in Arabic media, according to The Times of Israel, suggest that an American delegation eventually reduced its demands and insisted that the PA only cut payments to roughly 600 prisoners directly responsible for the Israeli deaths. The day after the meeting, Abbas defended issuing salaries to all Palestinian prisoners and terrorists as a "social responsibility."